A Financial Power of Attorney grants another individual (the “agent”) authority to manage your (the “principal’s”) financial affairs. But because they can transfer tremendous responsibility to an agent, it’s important to understand the different types of Powers of Attorney before signing one. A Standing Power of Attorney is immediately effective upon the principal’s signing. If the agent named under a Standing Power of Attorney has access to the document, she can begin using it immediately. A Springing Power of Attorney, on the other hand, becomes effective only upon the principal’s incapacity. The document itself should outline how incapacity is determined – generally, one or two doctor’s written opinions is required. The agent then presents the Springing Power of Attorney and doctor’s opinions when acting on behalf of the principal. The decision between standing or springing is personal and depends on a number of factors. But if you’re concerned about an agent abusing a Standing Power of Attorney, think carefully about whether that person is an appropriate candidate in the first place. Regardless of whether you establish a standing or springing power, you should always trust your agent to act in your best interest. A General Power of Attorney gives the agent broad powers to manage your property. This includes but is not limited to dealing with real estate, managing bank accounts, buying and selling securities, collecting or enforcing debts, and paying bills. Meanwhile, a Limited (or Special) Power of Attorney gives the agent the power to manage only a specific type or types of property in specific circumstances. Limited Powers of Attorney are commonly used in real estate transactions when one party is unable to be actively involved. After a certain time period or the completion of the transaction, the power expires. 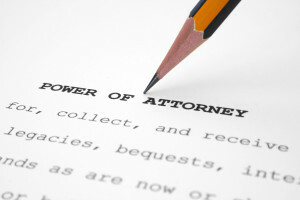 In Colorado, certain sensitive powers are not automatically included in a Power of Attorney. These so-called “Hot Powers” include making gifts, changing rights of survivorships, changing beneficiary designations, creating or amending trusts, delegating authority granted under a power of attorney, waiving survivorship rights, disclaiming property, or stepping into a partnership. Most of these powers, however, can be included in a Power of Attorney if specifically authorized. Failure to have a power of attorney in place can create tremendous problems if you become incapacitated and are unable to manager your financial affairs. In such circumstances, family members may need to turn to the courts for help managing your affairs. If you need a power of attorney, or any other estate planning document, contact us here or call 720-588-9830. Posted in Articles, Estate Planning and tagged agent, Boulder, CO, estate planning, power of attorney.